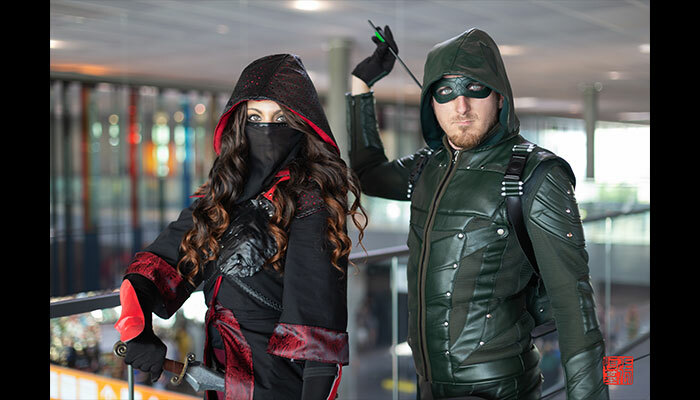 Cosplay from the TV show “Arrow” season 5. 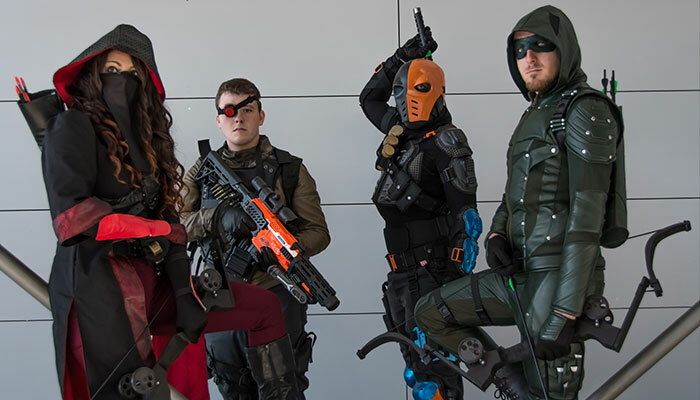 The cosplay was bought from Aliexpress and the props were all made by me. I even designed the arrow head, the little gadgets and some parts of the bow and 3D printed them. 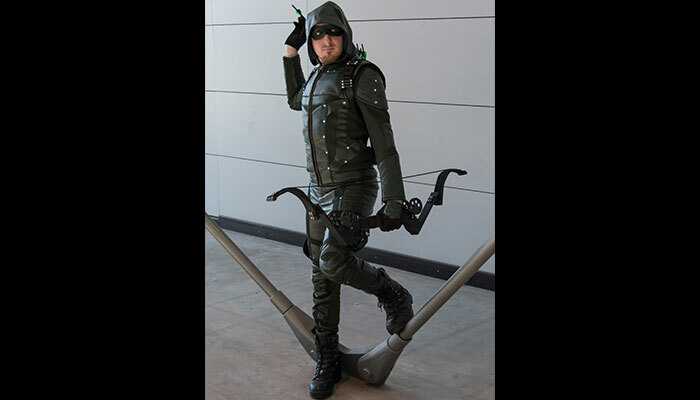 I love the TV show "Arrow" and since I really like the character, I had to cosplay Green Arrow some time. 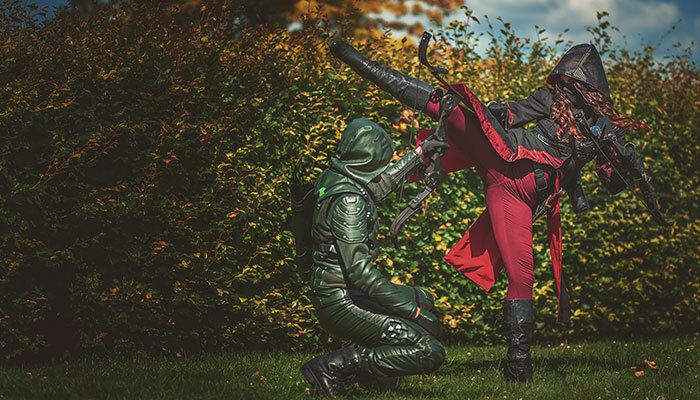 And when I had the money to buy the cosplay, I did! Making the bow, designing the arrow head and little gadgets. Bow is made from MDF and some 3D printed parts. Arrows are real arrow shafts with a 3D printed arrow head on one of them for posing. The other ones are glued in place.